Industrial-quality diamonds and easy-to-use color coding system. Dry or wet cutting. For cutting hard material, including reinforced concrete. 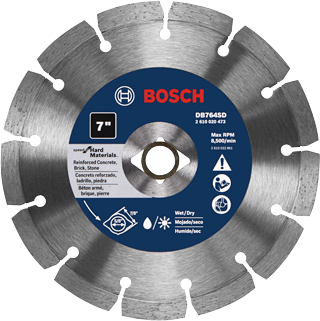 For use with large angle grinders and circular saws.